Work has already begun for next season for Morrice ahead of their final game in National Three coming this weekend away to St Boswells. As yet there are no confirmed departures from Countesswells, with discussions to take place at the end of this campaign to review the year and ascertain availability for the 2019-20 season. Morrice said: “I would love for them all to stay. There might be one or two departures but that’s the nature of amateur sport. 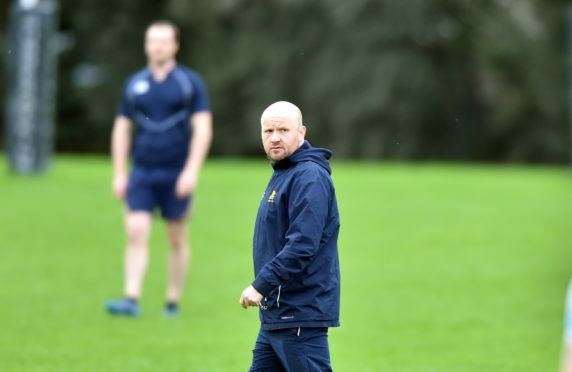 Gordonians hold an unassailable six-point lead at the top and were crowned champions after a 14-13 defeat to Orkney on March 30. They face a St Boswells side who have had a backlog of games due to postponements and sit second-bottom. Morrice added: “I want the players to just go out and enjoy the game. We would like to go down and win and finish the season on a high – we would go up in style. But it’s a game at the end of the season and some guys are away playing sevens, so we have to see who is available. Ultimately it’s just about getting the fixture played. “We finally got the job done for promotion. It wasn’t the way we wanted to do it but no-one is going to remember the result against Orkney, just that we clinched the title. It’s a great achievement for us as a club.